Video from the third Pro Stock A-main. The video from the third Mod final will follow but we are experiencing connection problems. You can view the videos from the previous mains further down the page. The curtain has come down on the second round of the inaugural European Touring Series and it was Jilles Groskamp and Nicolai Nielsen that leave Vejle in Denmark with the main silverware. The weekend produced plenty of thrilling race action but in the end it was those that set the pace in qualifying that ruled the finals. 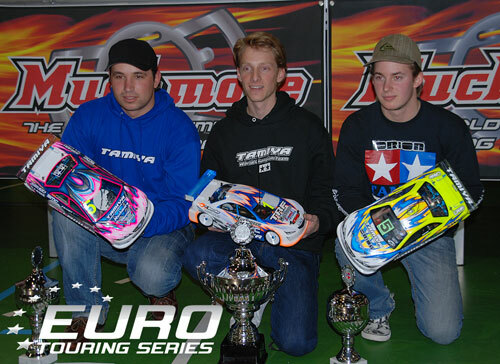 Groskamp over came strong pressure from his Tamiya team mates in Leg 1 of the finals to score an important opening victory over Marc Rheinard and Viktor Wilck. One thing that really stood out this weekend was the great team work being done by the factory squad and as a result the TRF416 was the car to beat, filling the top 3 places on the grid and ultimately the podium. 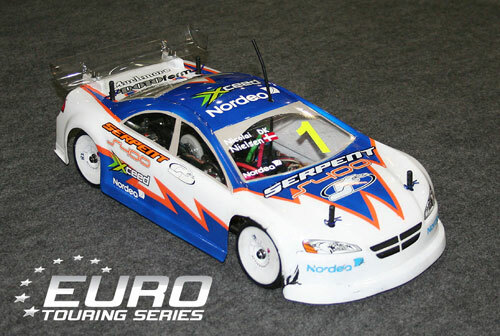 Kyosho’s top man Steen Graversen did try his best but the combined forces of Groskamp, Rheinard and Wilck was too much. Team Associated’s Joel Myrberg endured a tough weekend and unfortunately couldn’t mount the challenge expected. 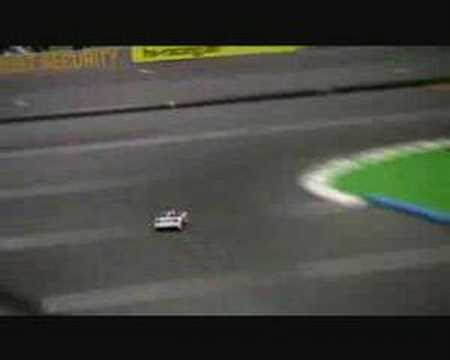 Leg 2 of the Modified A-Main saw another great drive by Dutch star Groskamp who again was helped by his team mates this time for the wrong reasons as Rheinard and Wilck made contact at the second corner after the start and dropped to the tail of the field. This allowed Graversen to move into second but he was never really a threat to the pole sitter who went on to take his second win and overall victory of the Danish event. Rheinard did a good job to recover to take third. The final Leg was a battle for the final two podium placings. Groskamp lead for most of the race under pressure from Rheinard who didn’t need a second invitation to pass his team mate when he went wide as the pair came off the main straight. Groskamp then caught a dot and the former World Champion got the break he needed to come home for the win and which would secure him 2nd overall. Wilck also got by in the same move to claim 2nd and the final overall podium placing. In the Pro Stock class it was Danish drivers armed with Dutch cars that fought for the victory. Nicolai Nielsen driving a Serpent and Rasmus T. Callesen at the controls of a Corally battled throughout qualifying and the finals but in the end it was the former that claimed the pole and eventually the overall victory. The two were inseparable on the large carpet track but Nielsen kept cool under the pressure and won the opening two legs to secure glory. Nielsen opted out of the third leg leaving Callesen and Palle Hornum to fight for second and Callesen looked to have it in the bag but 3-minutes into the race his pinion came lose leaving Hornum’s Xray to take the win and second overall. 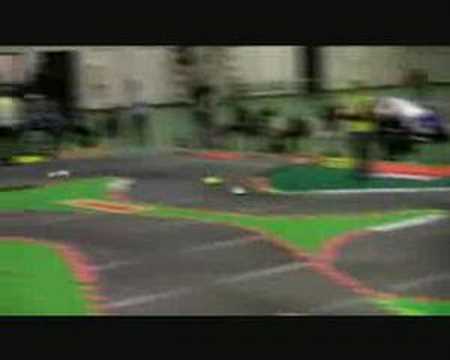 The Sport class, introduced to give club racers the opportunity to race at a high profile event, proved to be a huge success and the racing went right down to the wire between Germany’s Axel Thoms and local racer Lasse Scholt. Thoms won Leg 1 from pole but Scholt came right back in Leg 2 forcing the title decision to be made in the final leg. The German racers trip to Denmark proved to be worthwhile however as he took the final leg and overall win ahead of Lasse. 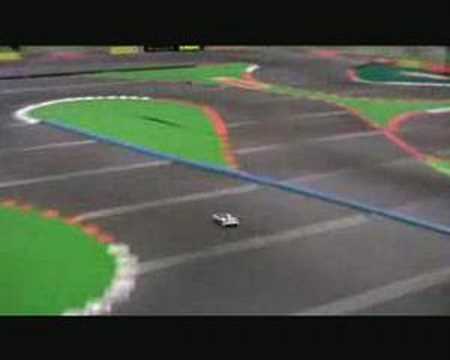 Video from the second Modified A-main. 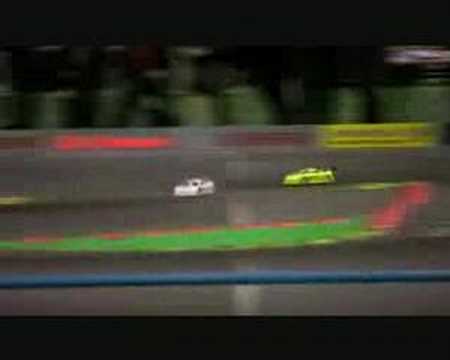 Video from the second Pro Stock A-main. 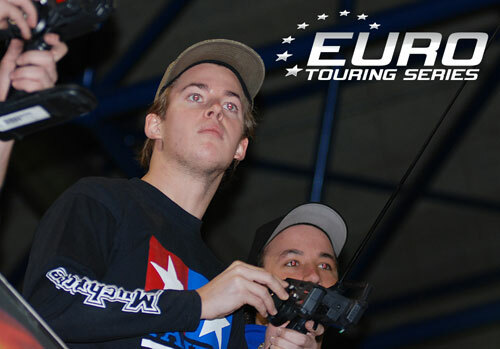 Jilles Groskamp and Nicolai Nielsen have secured overall victory at Round 2 of the European Touring Series in Vejle, Denmark. The pair claimed the wins in the 2nd leg, backing up their leg 1 Finals victory with a second win, thus making them unbeatable with one leg still to run. In the Modified Class Jilles Groskamp once again stayed cool as his team mates came together on turn 2 of the opening lap which dropped them to the back of the field. The pair eventually recovered but up front it was Groskamp all the way. The Dutch Speed Passion team driver did get some early attention from Steen Graversen but his lead was never really threatened. Coming back through the field Rheinard clocked up the fastest lap of leg with a 13.83 and just pipped Schmacher’s Soren Eskildsen for third while Wilcks recovered to take fifth from Johan Eskildsen. Nicolai Nielsen secured another win in Pro Stock after making another good start from the pole. Posting the fastest lap of the race Rasmus T. Callesen did his best to unsettle the Serpent racer but it was to be in vain. Palle Hornum ended up third for the second time running. In Hobby things are set to go down to the wire as Axel Thoms and Lasse Scholt have one win a piece going into the third leg. View images of the event in our image gallery here. Video from the first Modified A-main. 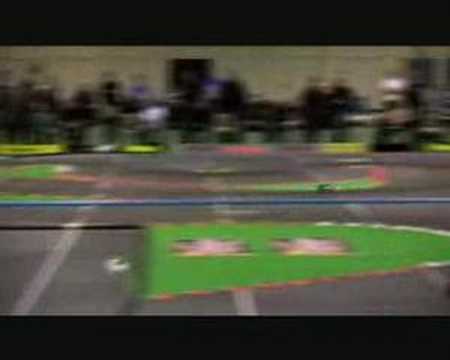 Video from the first Pro Stock A-main. The finals are underway and so far it has been the pole men that have taken the opening A Main victories despite some exciting and intense racing. 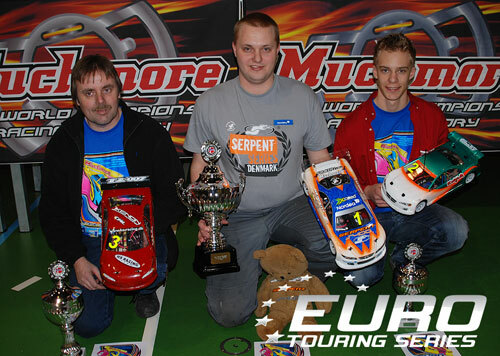 In the Modified Class Jilles Groskamp kept his cool while coming under intense pressure from team mates Marc Rheinard and Vicktor Wilck to head home a Tamiya 1, 2, 3. Rheinard was all over the back of Groskamp at stages during the race and early on went down the inside of the Dutchman at the end of the straight but backed out for fear of touching him. In the dying minutes of the race the pair did touch after Groskamp caught a dot and Rheinard tagged him from behind but the duo rejoined in the same order to finish first and second. A mistake late in the race saw Wilck’s challenge come to an end as he fell into the clutches of Steen Graversen but the Kyosho driver could not get by the Swede and deny the TRF squad a podium white wash. Pro Stock was also a thrilling encounter with Nicolai Nielsen pushed for the entire race by Rasmus T. Callesen but the pole sitter didn’t put a wheel wrong with his Serpent and the Corally racer had to settle for the runners up spot. 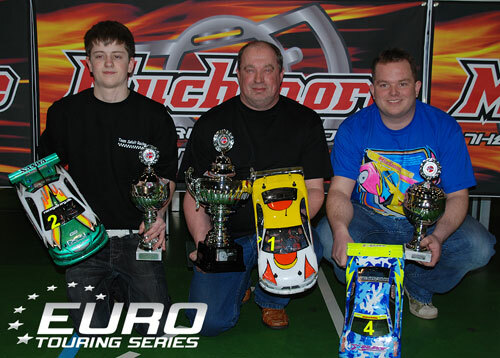 In the Hobby class we witnessed another great battle for victory as once again the top two qualifiers raced nose to tail but in the end it was TQ Axel Thoms that crossed the line first when Lasse Scholt made a mistake in the closing stages of the first of three A Mains. 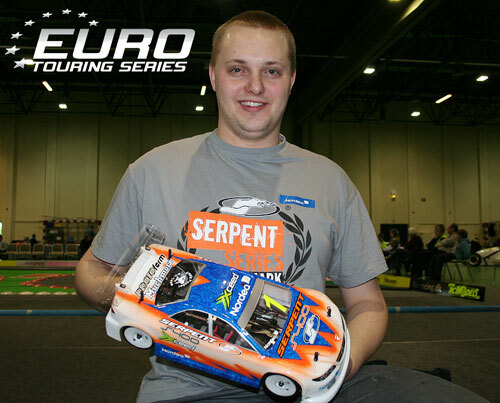 Vicktor Wilck sent a warning shot to his Tamiya team-mates this morning as he produced his fastest run in qualifying at the 2nd round of the Euro Touring Series to top the final run for Modified here in Denmark. The Swede has looked good all weekend but until this morning he has been unable to complete a full run without dumping but having got over that obstacle he should now be in a position to mount a serious challenge for the overall victory as he starts from the second row of the grid directly behind team-mates Jilles Groskamp, on pole, and Marc Rheinard who has recorded the fastest outright lap time in the qualifiers with a 13.77. 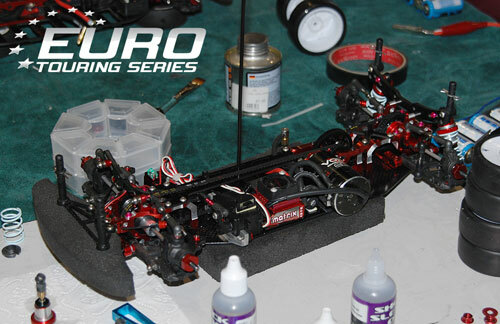 Joining Wilck on the second row is Danish ace and Kyosho team driver Steen Graversen with his prototype Stallion. The third row is a brotherly affair with Soren and Johan Eskildsen doing a good job with their LRP powered Schumacher Mi3s. Lining up in seventh position is Patrick Hornum driving an Xray with Dutch Serpent driver Rob Janssen alongside him in eight. Filling the final two places on the A Mains grid are Associated team driver Joel Myrberg, who has finally managed to get a more stable set up on his TC5, and Johnni Andersen at the controls of his Yokomo BD. In Pro Stock Nicolai Nielsen was again fastest in the final heat but the Serpent driver missed out on bettering his TQ time from yesterday by a mere 2/100th of a second. Rasmus T. Callesen, who only managed 8th in his heat this morning will line up his Corally alongside Nielsen on the front row of the grid for what is sure to be an exciting Pro Stock A Main. 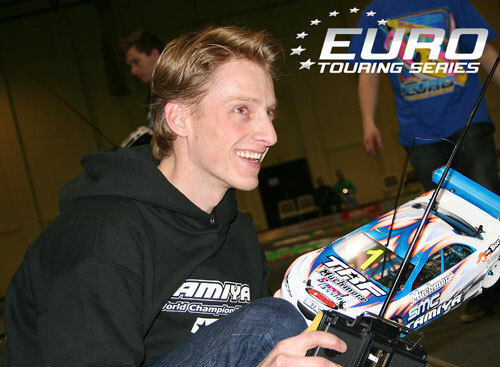 Axel Thoms saved his best for last recording the fastest qualifier for the Hobby Class here this morning with a run over 17 laps in 308.914 to secure the TQ ahead of Lasse Scholt to make it an all Corally front row for the finals. 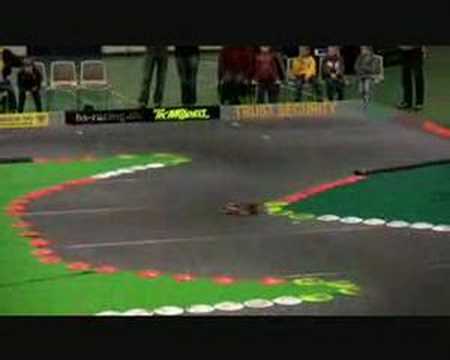 A video from the 4th round of stock qualifying which saw Serpent S400 racer Nicolai Nielsen take the heat win. We have now also uploaded some more videos, after some connection delays, from today’s action which you can view further down the page.